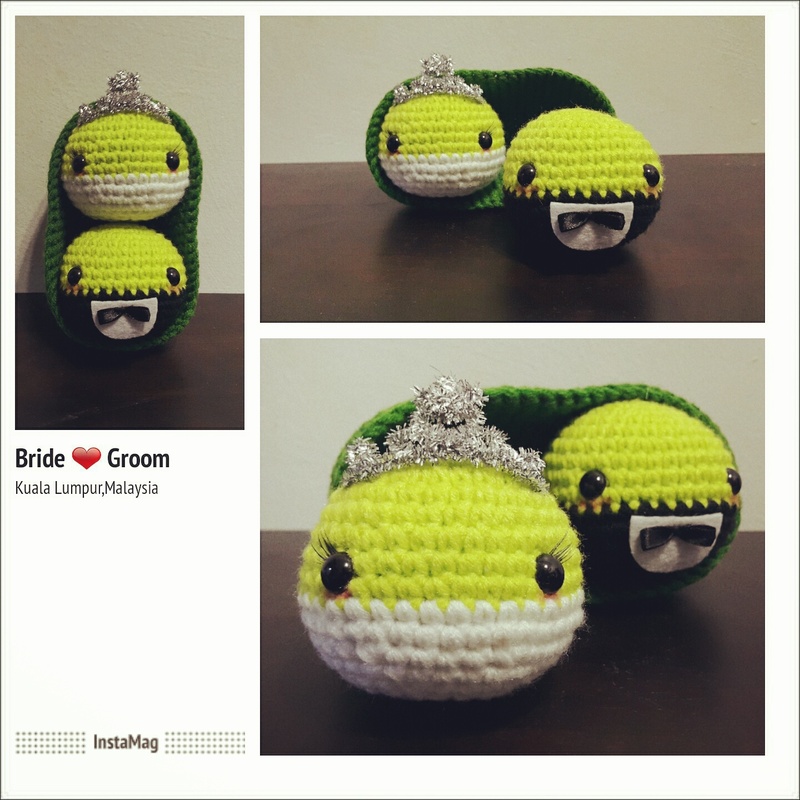 I found this Pea's Wedding Doll picture in Google, and love it so much. This funny "RUNAWAY BRIDE" is a result of my project, because my workshop are run-out White Chiffon. Gauze is not important - just keep maintain a consistent tension throughout the entire project. Crochet in a spiral. Use something to mark the first stitch of a round, and move it up as you work. “The Magic Circle” is use to start each piece. Alternative technique: ch 2, then sc x6 into the second chain away from the hook. Slip stitch to join the round. This creates Round 1. 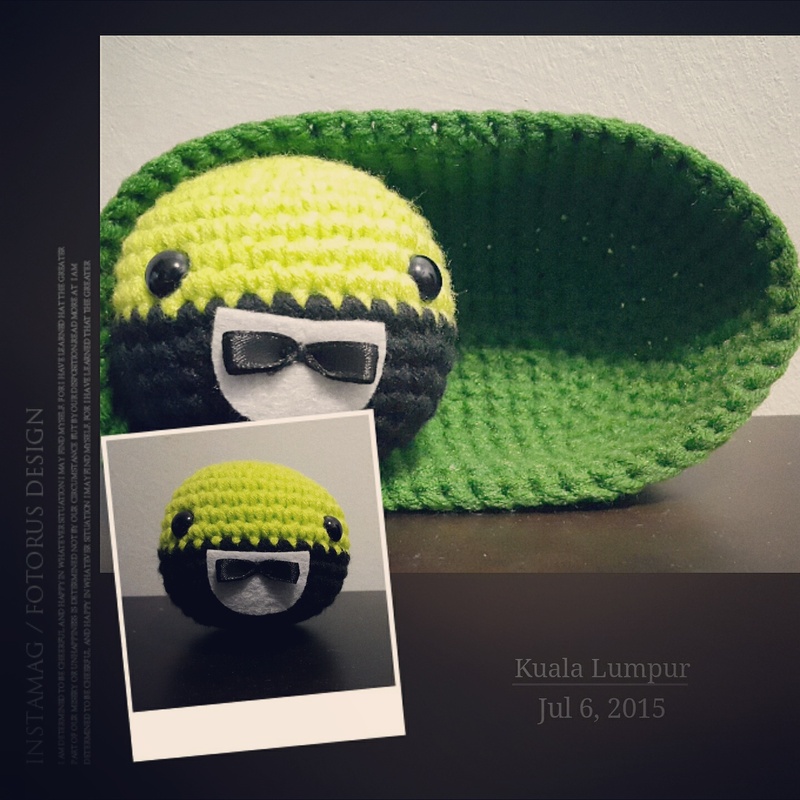 Use Light Green colour yarn. *Insert the Plastic Safety Eyes between Round 9 & Round 10 and attach washers. Eyes should be about 8 stitches apart. **Insert the Black Bow-tie between Rounnd 11 & 12 and attach with White Felt. **Insert the White Chiffon between Round 3 & 4 and put some decoration with it. Round 16: Fasten off & hide the tail.